Do you want to add value to your home? Having your kitchen in ship-shape adds to your home’s appeal and value. 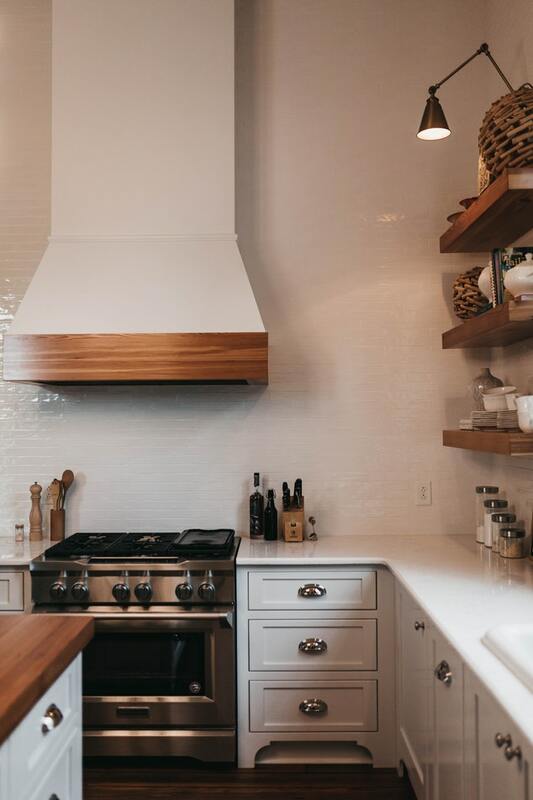 Whether you’re looking to improve the look and functionality of the space or seeking to elevate your home’s value ahead of putting it up for sale, here are five easy kitchen upgrades that pack a major punch in terms of impact. In a typical kitchen, cabinets make up the majority of the wall surface that meets the eye. If your cabinets are looking outdated or worn, a quick refacing will breathe new life into the entire room. This upgrade allows you to dramatically transform your kitchen’s look without making a major financial investment, so it’s worth considering if you’re looking to change things up in a meaningful way. For an even easier DIY alternative, you can simply freshen up your cabinets with a new coat of paint or a handsome staining job. It doesn’t take long and you won’t need to go to the trouble or expense of hiring a professional. In addition to refacing your cabinets, or as an even easier alternative, you can swap out your drawer and cabinet hardware for shiny new replacements. This strategy can work very well if you’re seeking a fast, inexpensive, and easy way to give your kitchen a more modern feel. Removing your aging, discoloured hardware and adding sleek, contemporary alternatives is a low-effort task that even DIY newbies can easily handle in just a couple of hours. If you’ve got a little plumbing experience, another quick and effective facelift involves changing out your old kitchen sink plumbing fixtures for shiny new ones. Before you settle on a new fixture, take a moment to determine whether you can improve the utility of your sink. Faucets that offer different settings and functions, like a controlled jet spray or a detachable nozzle, can make a world of difference when it comes to cleaning up after mealtime. Another way to create a whole new look and feel that will change the entire vibe of the room is to upgrade your backsplash. For example, if you’re tired of your current tiles, opt for a colourful and modern alternative. Interior design trends for 2019 show that high-contrast colour arrangements are making major headway in homes, so indulge your creativity and breathe new life into your kitchen. Adding a few pendant lights can really brighten things up without sending your electricity bills skyward. Configuring your layered pendant lights on a dimmer switch makes it easy to customize the amount of task lighting you have, which saves energy while increasing safety. High visibility is essential in the kitchen, where people constantly work with sharp knives, searing pans, and hot food. Top off your changes with new pot racks, additional storage space, and dish drying racks to make your new kitchen even more fun and functional. 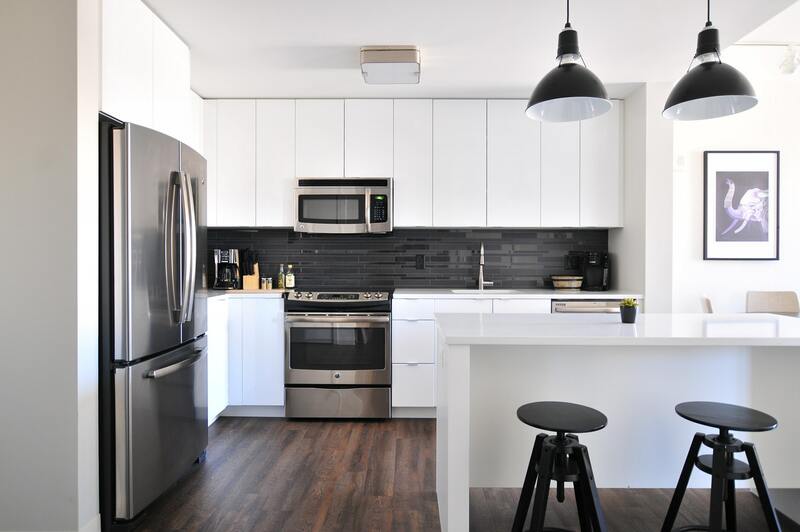 These simple, relatively affordable upgrades also offer excellent potential returns on investment, as kitchens are known to have a major influence on a home’s resale value.